Photographs of Flat Iron Building, New York City and the area surrounding the junction of Broadway and 5th Avenue. 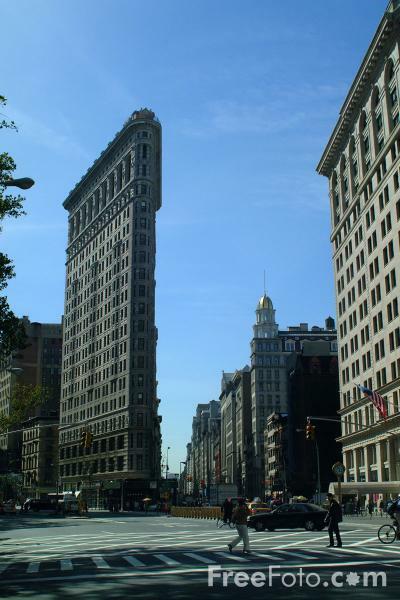 The Flat Iron Building was completed in 1902 and was the first building in New York with a steel frame. It also has the honor of being the oldest surviving skyscraper in New York City. VIEW: More images from the category Flat Iron Building - New York City or taken at the same location or around the same time .